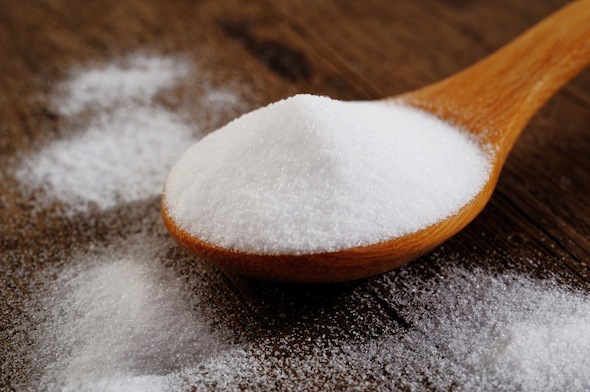 Baking soda, also known as bicarbonate powder, is a recognized folk remedy known to alleviate symptoms of indigestions, heartburn, infections and arthritis. It is an alkaline compound used for the reduction of acidity in the body. Acidity is gained from the food intake that contains less bio energy. The bio energy is what keeps the alkalinity of the body intact. In moderate intakes, baking soda evens out the acidity and alkalinity of the body, which promotes healthy biochemistry. The world has changed so much over the years. If before, humans eat healthier, natural produces than protein inducing meats, these days, human intake of meat outweighs healthy options. More so, modern diets promote acidity and less alkalinity. This is not how it is supposed to be. Therefore, baking soda has great effects on the bio energy of the body whether it be consumed or used for massage therapy. In the form of consumption, baking soda is a great neutralizing agent for acidic meals. How is this so? This is because it can easily be dissolved in water. Once it reaches the intestines, the absorption of the nutrients is fast and easy. It is for this reason that it is helpful for acid reflexes, indigestions and upset stomachs – relief in an instant. The mixture of baking soda and water causes burping, which offers the immediate relief on excessive gas and bloating. The alkaline content of the baking soda dissolves the uric acid crystals that causes extreme pain on gouts and reduces the inflammation of arthritis. Note: Baking soda is a recognized short-term solution to the mentioned health problems but experts limit the intake for 2 weeks. This is a healthy alternative but if symptoms persist, it’s best that things are taken to the doctor. The best time to take dissolved baking soda is between meals. A teaspoon or two is enough in an 8 oz. glass of purified water. Do this twice a day as a common recommendation for the improvement of alkalinity in the body. Another method of intake is by mixing 1/2 squeezed lemon and 1/2 teaspoon of baking soda in a 12oz. lukewarm water. Drink first thing in the morning while preparing for the day. In about 20 – 30 minutes later, have something to eat. Many might find this to be silly but know baking soda can absorb the odors in the fridge? This method can be applied on people as well. It can be added to baths as a way to reduce stress. One thing that everyone should be made aware of is the fact that stress is a toxic condition. For it to be eradicated, the body needs to relax as a form of detoxification. The scientific term for baking soda is sodium bicarbonate and it has contents that are good at neutralizing the chlorine in the water. Most city water sources use chlorine to cleanse the water of its extra harmful content but chlorine is not good for the skin. When baking soda is added to the water, it cleanses the water of its chlorine content – making it more natural and alkaline. This method is also applied on some massage therapy sessions as a way of preparation for body cleansing.